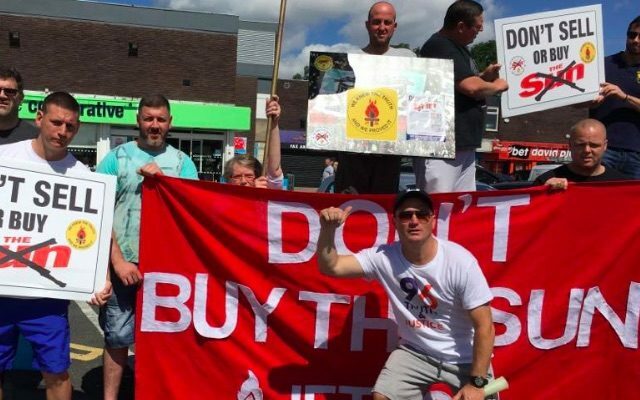 Liverpool City Council has approved a move to completely ban the S*n newspaper from the city. The infamous rag has never been forgiven for the way they reported the events of the Hillsborough tragedy in 1989. According to the BBC, a motion was out forward at a council meeting on Wednesday which called for a total ban on vendors and shops selling the paper. Labour councillor Mary Rasmussen was behind the move. “Contrary to the facts, The S*n published a front page story with the banner headline ‘The Truth’ which contained blatant lies,” she said. The motion won unanimous backing. The S*n refused to comments on the vote, but some groups – especially the Society of Editors, which represents about 400 media outlets – said the move was stretching towards censorship. “That is what happens in dictatorships and banana republics,” they said. Emily Heywood of the Total Eclipse of the S*n group said the move was necessary because some new newsagents had started selling it again.